Enjoy your favorite music, movies, games, etc. with utmost clarity via the JBL GO Portable Bluetooth Speaker. This ultra compact 3W speaker generates crystal clear audio output, amplifying every drum beat or guitar strum. The speaker is small in size and lightweight, which makes it highly portable. This speaker wirelessly connects to all the latest smart devices via its Bluetooth v4.1. The technology eliminates the need for dealing with unsightly wires. This speaker provides up to 5 hours of nonstop music playback as it is powered by a rechargeable 600mAh Lithium Polymer battery. You can also answer your phone calls handsfree with this speaker as it features a noise canceling microphone with its 68.3 x 82.7 x 30.8mm frame. 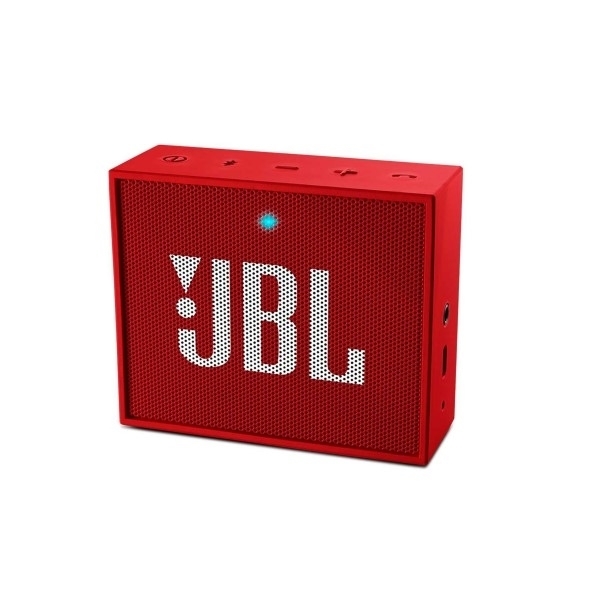 This speaker by JBL is available in a bold red finish.